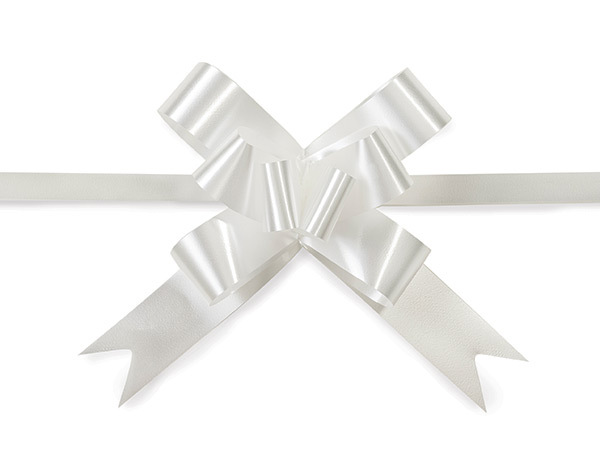 Petite 2" white butterfly pull bows are made of 100% polypropylene making them sturdy and shiny. The petite size is a cute and easy final touch for small gifts, such as wedding favor bags and jewelry boxes. The ribbon on the bow is approximately 1/2" wide and, once assembled, the ribbon tail is 8 3/4" long. The total bow length is 2".